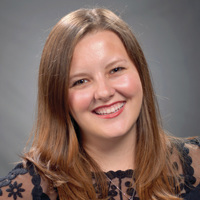 Elizabeth (Libby) Cotten joined CCGD as Prelude Chorus Assistant Conductor in 2015. Mrs. Cotten is the Assistant Director of Choral Activities at Cockrill Middle School in McKinney Independent School District. ​Mrs. Cotten earned her Bachelor of Music Education with Vocal Emphasis from Texas Christian University. She holds affiliations with the Texas Music Education Association and the Texas Choral Directors Association.